Philadelphia general manager Elton Brand released a statement Saturday condemning tweets that surfaced from a burner account connected to forward Mike Muscala’s father. The Twitter account was operating under the name “MuskieBobber,” a team source confirmed to the Philly Voice and ESPN. The account has since been deleted. 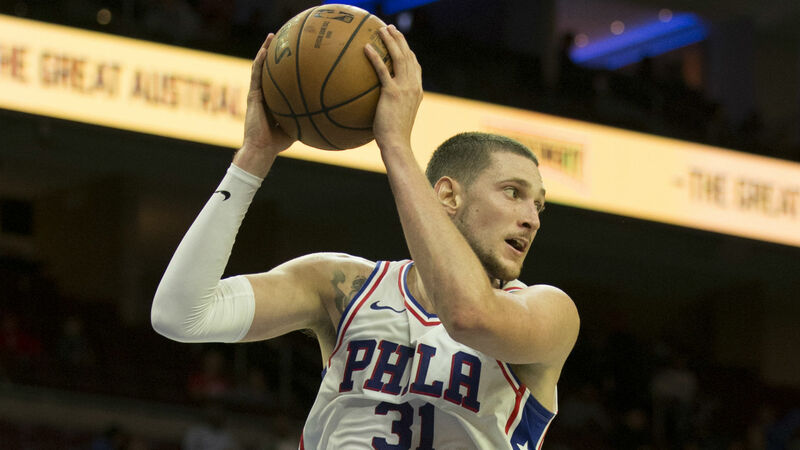 “Earlier today, I was made aware of inappropriate and offensive social media posts from Bob Muscala, father of Mike Muscala, “Brand said, via the Philly Voice. “Simply put, they are unacceptable and in no way reflective of the beliefs of our organization. Mike Muscala was acquired in a trade this offseason after spending five seasons in Atlanta. He too released an apology for his father’s comments. “First and foremost, I want to apologize for my father’s offensive social media commentary,” Mike Muscala said. “His comments were uncalled for and inappropriate, and they do not reflect who I am. This isn’t the first time the 76ers had to deal with a social media problem. The Philadelphia organization hired Brand last month, after former general manager Bryan Colangelo resigned. Colangelo left the 76ers in June after his wife admitted to using multiple Twitter accounts to criticize team members while showing support for her husband online.